July 28, 2017 - Free Latin Dance Class for All! Come to Mimico Square and take a free dance class with me on Friday, July 28th, 2017. 7 pm - 8:30 pm. 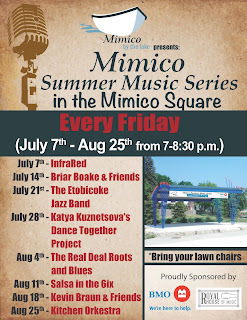 Sponsored by the Mimico by the Lake BIA!